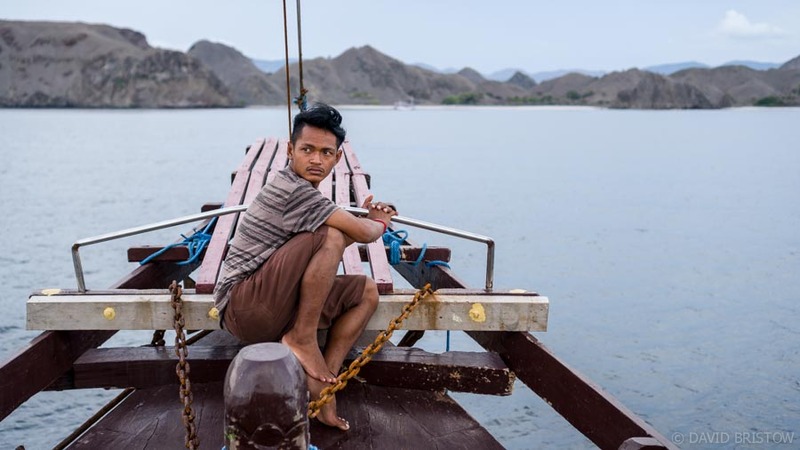 It’s the single best thing you can experience in Flores, but choosing a cruise through Komodo National Park can be a bit of a head-trip. 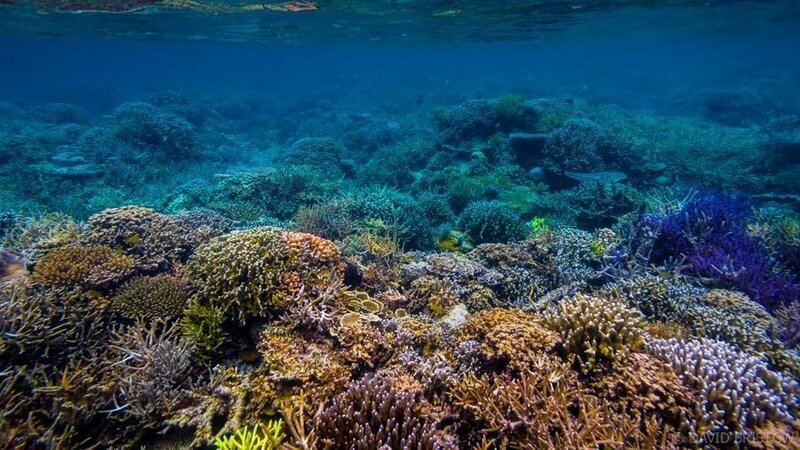 We’ve nailed down all the information we were looking for (but couldn’t find) to help you avoid the endless online searches before you hit Labuan Bajo. 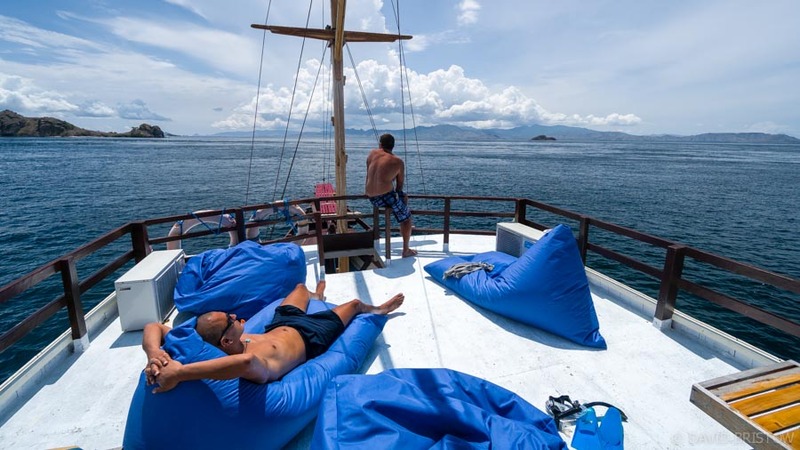 If you want to know how to get the best deal on any budget, what it’s going to cost and what’s worth seeing (and not), here’s our top tips for Cruising Komodo. There are lots of ticket sellers along Labuan Bajo’s main drag that will sell you a cruise ticket (rather cheaply) and then palm you off onto any random boat that is departing the dock. The problem with this is that you can’t be sure just where you are going to rest your head or how comfortable, crowded or safe the boat’s going to be. Because of this, we went with an operator who was selling his own boat tour, confident that what we saw in those pictures on the tour office wall was actually what we were going to get. For my money, bigger boats are better because there’s more room for sleeping and relaxing (as long as they don’t overfill them), and they are much more stable so you won’t feel the sea as much when it gets rough (trust me, I’m a sailor). We booked with Ficko Cahaya Komodo, swayed by Ficko’s uber friendly brother Franciscos and his unflappable son Joshua, both honest and helpful, who happily took us out to the boat to check it out before we handed over our money. Incidentally, Mr Ficko himself is a bit of a pain (his reputation for infuriating travellers with lazy departure times is well documented online) but that’s OK because Ficko doesn’t actually sail with you. Joshua does, and he’s awesome. 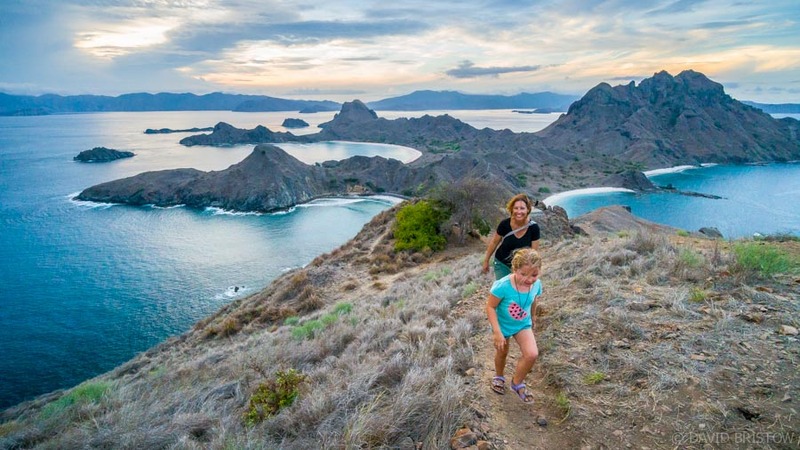 You could squeeze a lot into one day on the water – Komodo trekking, a swim with manta rays and a snorkelling stint off Red (sometimes called Pink) Beach, maybe even a hike to the lookout on Padar Island. It would be a big day but it is doable IF your boat leaves early enough (around 7am). But……being out on the water overnight, kicking back with a cold beer on deck after watching the sun set from the top of Padar Island and the stars come out is worth all the money in the world. Consider an overnight trip to give you much more snorkelling time and bring your own mask, snorkel and fins. If time or money is tight and you have to squeeze everything into a day, don’t miss these top spots: Manta Point for snorkelling with rays, Komodo Island to encounter dragons on foot, Red (Pink) Beach (find the big coral pinnacle off the middle of the beach) and a trek to the top of Padar Island for big views of its tricoloured bays. The off-season prices for an overnight trip that were offered to us (November 2017) were 900,000Rp for ‘throw everyone together’ boat trips, but just AUD$10 (100,000Rp) more for extra legroom on Ficko’s boat (BONUS….they didn’t charge us for our 6-year-old child either). Being the off-season, we shared our trip with just three other travellers and had plenty of room to sleep (a double bed mattress each on the covered upstairs sleeping deck). We were even offered use of one of two cabins downstairs if we wanted them at no extra charge. There were lounge chairs and bean bags on the sun deck, a covered dining area downstairs, two cold water showers (which is all you’ll need in the heat) and the staff were friendly and helpful without getting in our faces. On the water we met some English girls who were on a Lombok to Labuan trip and were sharing their trip – the beds, toilets and food – with 40 other travellers! Needless to say they were miserable and dying to jump ship. 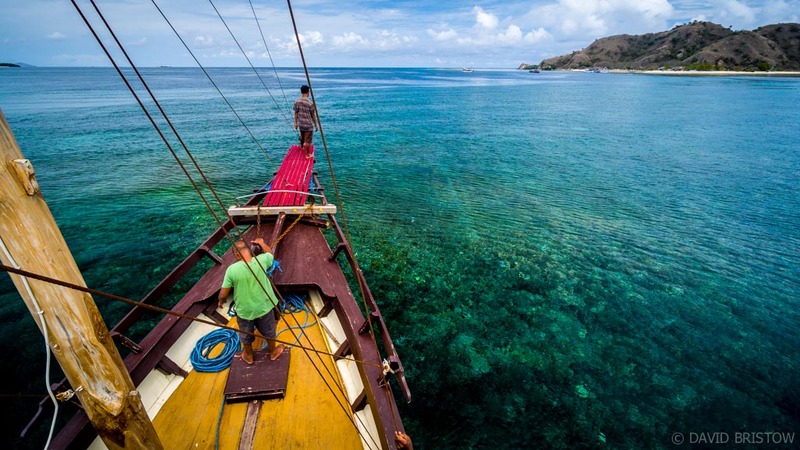 What’s not included in any Komodo trip that I’ve heard about is the 250,000Rp you’ll pay once you set foot on Komodo Island, via a convoluted series of permits (national park entry, snorkelling permit….the list goes on). 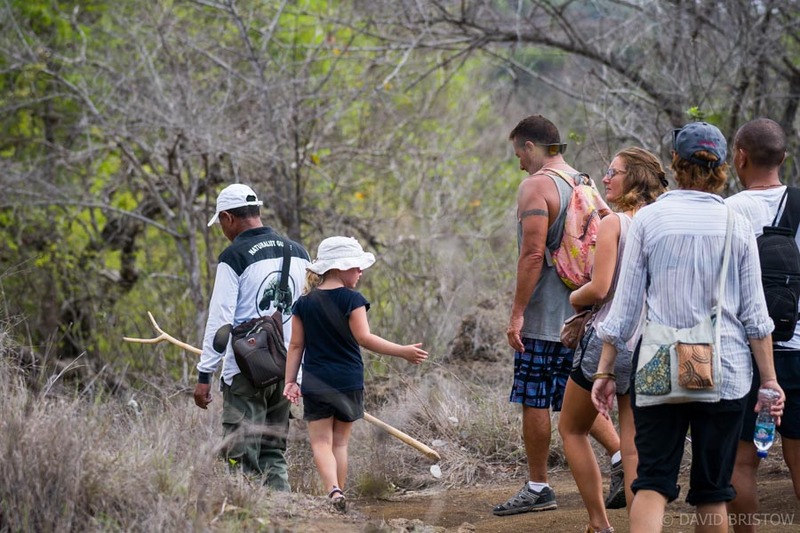 It basically it amounts to 230,000Rp per person, plus 80,000Rp extra per group (up to five people) to pay for the trekking guide who will lead you around Komodo Island itself. You’ll have to hand over another 80,000Rp per group to take a guided walk on Rinca, but our group decided to give the hot walk a miss and our boat caption scheduled an extra snorkelling session instead. It’s the topic all the travellers I met complained about most (after having to share tiny sleeping spaces with too many strangers) but the food on our trip was excellent and there was lots of it. The menu changed with each meal and included four or five dishes plus rice or noodles, and the cooks happily catered to us being vegetarian. We also had free cold water, tea, coffee and hot fried bananas each afternoon when we got back on board after long snorkelling stints. We brought our own beers and soft drinks with us and stored them in the communal fridge. Given that there is so much to see in Komodo National Park, debate rages about whether you really need to hike on both Komodo and Rinca Islands. If you are headed to Komodo I’d say give Rinca a miss because although I was pretty thrilled to encounter my first Komodo dragon, a solid trek with these awesome beasts on Komodo was enough for us. 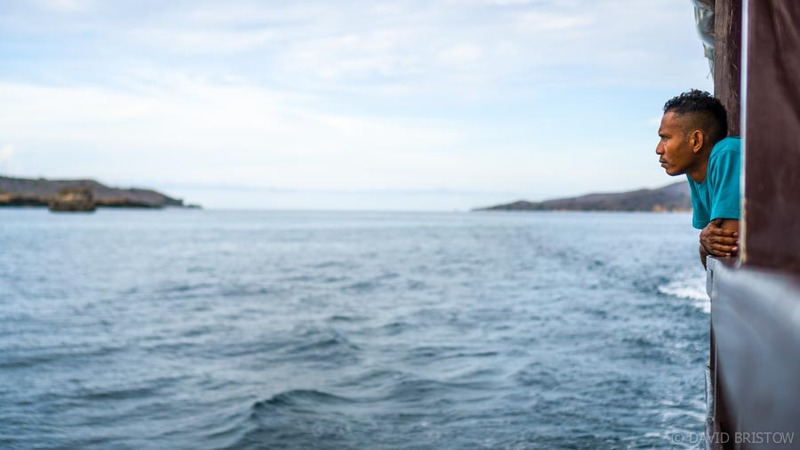 The guide we had on Komodo was professional and polite – the absolute opposite to the bullies we encountered on Rinca who tried to rip us off by insisting our group paid for more guides than was necessary (as our boat guide told us they would). 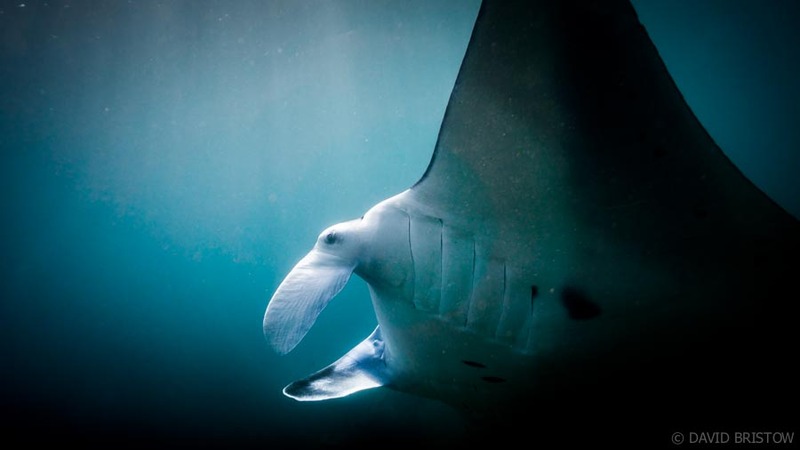 More than the dragons themselves, snorkelling with manta rays at Manta Point off Komodo Island is hands-down, the best thing you can experience in Komodo National Park. Free diving to eyeball these enormous, gentle creatures as they cruise slowly in the current, mouths open, is one of the biggest thrills I’ve ever had underwater. There were so many we couldn’t keep count of them! Most of the boats we checked out offered only an hour at Manta Point, whereas Ficko allocates two or more hours. We stayed in the water until our legs couldn’t kick against the current, and then drifted back on board. Make sure your boat operator offers plenty of time here and you’ll definitely need good fins to help you get close to the manta rays. What a wonderful trip, enough information for all those looking to go to such an amazing place. The colours of the water and Corol are beautiful. Thanks for your comment! 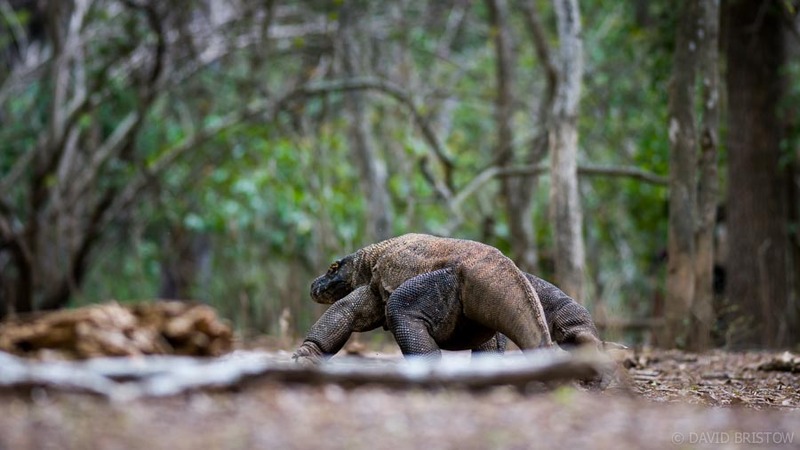 Komodo really is one of those places that every water-wildlife lover should experience at least once.